Regulating the groundwater extraction is one of the major roles and responsibilities of Kathmandu Valley Water Supply Management Board. Though late, the board seems to be regulating the rampant extraction of groundwater in the Kathmandu Valley by cracking down on the illegal users of groundwater. For the past few weeks, the board has been seen launching crackdown on the illegal users of groundwater and making the groundwater extractors pay fine for their wrong doings. Some housing companies, water companies and star hotels have already faced the action and were made to pay fine for illegal and rampant groundwater extraction. The crackdown on illegal users of ground water began after a majority of star hotels, mega hospitals, industries and apartments did not comply with the board’s notice. Early this year the KVWSMB had asked all individuals and institutions extracting groundwater for commercial purposes to take license from the board to use groundwater in order to regulate groundwater extraction. Though late, the board has shown serious concern about the depleting groundwater resource and launched crackdown on illegal groundwater extraction for commercial purposes. This move will surely make the illegal groundwater users comply with the board’s notice and take license to use groundwater. However, licensing only is not enough. The board should not be late to implement programmes of groundwater conservation and groundwater recharge actively. Kathmandu: More than a dozen 'Mineral Water' companies are under operation on the banks of Bishnumati River in Gongabu and Manmaiju of the capital city. However, these companies have not taken license from the government to operate the bottled water company. Two companies were sealed during the market monitoring conducted in Dashain-Tihar. Kathmandu: The Kathmandu Metropolitan City became 17 years old on Thursday, and the people living within this administrative unit complain that KMC services are degrading each new year, rather than improving. The metropolitan authority had a budget of Rs 250 million in its first year, compared to Rs 2.2 billion, 70 percent of which earmarked for development works, today. Kathmandu: As part of its ongoing crackdown on unlicensed users of ground water, Kathmandu Valley Water Supply Management Board (KVWSMB) on Thursday fined three star hotels. The KVWSMB slapped fines of Rs 50,000 on Annapurna, Yak and Yeti, and Malla hotels each for extracting ground water without having obtained licenses. Kathmandu: The Kathmandu Valley Water Supply Management Board (KVWSMB) has launched a crackdown on unlicensed users of ground water. The board has already slapped fines of up to Rs. 50,000 on the owners of three apartment houses and two mineral water companies for extracting ground water without having obtained licenses. Kathmandu: The Patan Appellate Court has extended the stay order issued against the government´s drive to evacuate squatters along the banks of Bagmati River for another 35 days. A joint bench of Judges Ekraj Acharya and Satyaraj Gurung on Sunday issued the interim order directing the government to put any action against the squatters on hold till the next 35 days. Kathmandu: The 5th batch of KIST College hosted a play- “Atal Bahadur Ko Atanka” at Gurukul on Dec 10, as a charity show to raise funds for a toilet construction project at the zoo. “We had a friend called Amrita who was differently-abled and she shared that she had faced several problems because of the inaccessibility of disabled friendly toilets in hospitals, shopping malls, schools and other recreational sites,” says Prasanna Jung Thapa, a member of the organizing committee. Lalitpur: The Patan Appellate Court on Sunday ordered the three District Administrative Offices of Kathmandu Valley, Nepal Police, High Powered Committee and High Powered Committee for Integrated Development of the Bagmati Civilisation (HPCIDBC) not to evict the squatters living alongside the river banks in Kathmandu for the next 35 days. Kathmandu: Minister for Land Reform and Management Bhim Prasad Gautam has said an alternative provision would be introduced to address the problem of squatters living on the banks of Valley Rivers. Speaking at an interaction, Minister Gautam today said a clean-up campaign of the Valley Rivers would be expedited, managing new places for squatters. Kathmandu: Water sources in the Kathmandu Valley are drying up with the onset of winter. Kathmandu Upatyaka Khanepani Limited (KUKL) informed that it is supplying only one-third of the water demand as the number of consumers is increasing every year but the KUKL has not been able to add sources. Kathmandu: Kathmandu Upatyaka Khanepani Limited (KUKL) has constructed deep bore well inside the premises of President Office following the insufficient water supply from the tap connection in the office. The President office had sent a letter to the KUKL to disconnect the connection following the insufficient water supply. KUKL has disconnected the tap connection temporarily and constructed deep boring in the office premises for water supply. Lalitpur: The World Bank is providing Rs. 80 million to Nepal as the Output Based Aid (OBA) for waste management. “The WB has already okayed the letter of interest that the government had forwarded asking for support on waste management,” said Sumitra Amatya, executive director at the Solid Waste Management Technical Support Centre under the Ministry of Local Development. Kathmandu: Empty saline bottles, cans of soft drinks, old buckets, trolleys, medicine bottles, papers, plastic and used syringes were most visible on Bir Hospital premises one year ago. But those days are gone now, thanks to an initiative of Healthcare Foundation of Nepal (HECAF). The organization has constructed a ‘waste recycling garden’ on Bir Hospital premises using these materials. In a bid to set an example in medical waste management, the hospital has initiated the projects like waste recycling garden, biogas plant and mercury collection house. Kathmandu: After the three political parties agreed to evict ‘landless’ squatters from the banks of the Bagmati, Bishnumati, Manohara, Hanumante and Dhobikhola rivers, the government taskforce responsible for removing illegal settlements along the banks has been emboldened to begin the demolition of their settlements. As part of the Bagmati Action Plan, the government wants to develop the drainage system and build roads and a greenbelt on the banks. Kathmandu: The Asian Development Bank (ADB) has warned to cut off assistance that it has been providing to different projects and programmes in Nepal after the government transferred the Project Director of Project Implementation Directorate (PID) against the agreement made with the ADB. The ADB has even threatened to withdraw its hand from different projects and programmes in the country if the government continues to violate the agreement. Kathmandu: A person has been arrested on Monday for stealing water taps in the bathroom of Supreme Court. Suresh Lama, who is said to be the resident of Balaju Baipass, has stolen two water taps from the bathroom of the monitoring branch of the Supreme Court. Kathmandu: Kathmandu Upatyaka Khanepani Limited (KUKL) Executive board has postponed the appointment procedure of its new chairman following the pressure from the Ministry of Local Development (MoLD). The MoLD had send a letter to the KUKL Board to appoint the new chairman within a week but the Minister for Local Development Topa Bahadur Rayamajhi called the heads of the shareholder organizations including Kathmandu Metropolitan City and Lalitpur Sub Metropolitan City and requested them to postpone the appointment process. Kathmandu: The Patan Appellate Court issued an interim order to the government authorities not to remove the settlements of landless squatters along the Bagmati River in Kathmandu until December 11. A single bench of Judge Rajendra Prasad Bhandari issued the interim order Sunday, asking both the parties to the case to attend a hearing on December 11. Kathmandu: The major three parties and Madhesi Morcha have agreed to rid the Capital city’s river banks of squatters’ settlements. A meeting of the top leaders of UCPN (Maoist), Nepali Congress, CPN-UML and Morcha held at Gokarna Forest Resort on Sunday decided to evict squatters from the encroached river land. According to NC Vice President Ram Chandra Poudel, all the parties unanimously agreed on the proposal forwarded by Home Minister Bijay Kumar Gachhadar. Dang: It is a toilet complete with urinals for the boys. But the primary school in Dang district's Shantinagar VDC-5, for which the District Education Office (DEO) built the outhouse, has been using it to hold classes for the past two years. Chairman of the school management committee Ratna Bahadur Pun said the school established in 1960 has so far not received any aid from the District Education Office to construct a school building. Shuklaphanta: Shuklaphanta Wildlife Reserve office has come up with a way to quench the thirst of wild animals by pumping ground water into artificial ponds, that too without producing noise and emitting a plume of smoke from the diesel generators. Scarcity of water has been plaguing the reserve, famous for the rare Barhasinge, after water levels in a dozen of the natural ponds in the jungle started to dwindle. Kanchanpur: The installation of solar powered machines to supply drinking water to the lakes and ponds of Suklaphanta Wildlife Reserve has begun. The machines have been installed to supply drinking water on the artificial lakes as the natural lakes of the Reserve dried out in recent years. Yuba Raj Regmi, the conservation officer, said that machines will be installed in three lakes this year and two lakes next year. Was historical Bhagirathi River sold to individuals? Kapilvastu: The holy Bhagirathi River, now known as Banganga River that flows from Tilaurakot, the ancient capital of Shakya kings, was sold to individuals! Lord Buddha was born to the Shakya kings who ruled Kapilvastu, Tilaurakot and other states in vicinity. The sale of river as revealed 30 years after the river was sold. Records at the district land revenue office showed that an area covering 62 bighas of the river was sold to three individuals in 1981. The Patan Appellate Court has done the right thing by extending the stay order against the government's drive to evacuate settlers along the banks of the Bagmati River (Squatters evacuation stay extended, Dec 13). It is wrong to force people out of their shelters when they have nowhere else to go. Yes, they might not have been staying there legally. But I believe this is as much a moral issue as it is a legal one. With the end of Visit Nepal Year 2011, the country embarked on Visit Lumbini Year. The birthplace of Lord Buddha definitely needs publicity and developed as a tourist destination, so the campaign is a goof initiative. But as in the previous year, the stakeholders would do well to give the capital and other places a cleaner look. Through your reputed newspaper, I would like to apprise everyone that the widespread use of plastic or polythene bags in Birgunj has snatched the beauty away from this wonderful city. 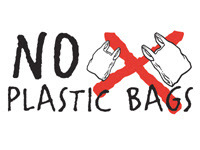 The regular use of polythene bags in grocer’s shops, clothes and tailoring shops, etc. has maximized pollution of the city. You can easily see such bags scattered at every corner of Birgunj, which look very dirty and unmanaged. Squatters have been for long encroaching upon the lands beside the banks of the Valley Rivers. This has caused immense environmental problems because of the pollution of the once pristine rivers. Now, the government has finally started evacuating the squatters from the riverside, despite coming with stiff opposition from some squatters. Kathmandu: With the onset of every dry season, Kathmandu denizens expect the monstrous hours of power cuts with problem of acute water shortage further aggravating their woes. Due to the absence of proper monitoring and management from Kathmandu Upatyaka Khanepani Limited (KUKL) — a public company responsible for water supply in the valley — some consumers have uninterrupted supply to drinking water, while the taps of some consumers have reportedly remained dry for years.